Turbo technology is the suggested method for achieving the highest efficiency in air compression up to 1 bar. Once the first turbo blower had been manufactured in 2001 using a new combination of techniques, spectacular improvements became visible compared to the conventional rotary piston and screw compressors. 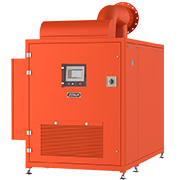 In addition to a vast reduction in necessary power, the sound pressure and maintenance schedule of the turbo blowers have come as somewhat of a relief. With the optimisation of the techniques used, we have perfected our series of Dutair turbo blowers and simplified them into a universal compact turnkey module. 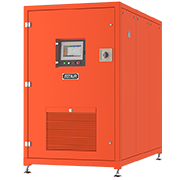 In this process, we have engineered ease of use, control, security and communication into an extremely reliable machine. Based on these unprecedented performances, we have a radial turbo compressor, which, with revolutions of between 20,000 and 50,000 rpm, generates minimal losses. 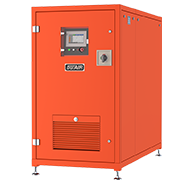 The Dutair series permanent magnet motors have been designed for optimal electric and magnetic properties. Due to the high number of revolutions, the relatively small motors are able to supply enormous powers, which makes cooling a challenge. 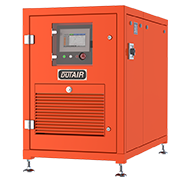 The inventive integrated Dutair motor cooling is so effective that this aircooling works without external components up to and including 300 kW. Whilst in operation, the rotor does not make any contact with the fixed parts of the turbo blower thanks to the axial and radial air foil bearings. The complete module contains easyto- exchange filter cartridges, which also forms the only periodic maintenance of this 100% oil-free machine. Turbo blowers are particularly suitable for processes where longterm air compression between 0.2 and 1.0 bar is required. In addition to energy targets, the total cost of ownership will prove that, economically, Dutair turbo blowers are by far the best solution. Common uses are aeration, the pneumatic transportation of bulk goods, air supply in combustion processes, air film transportation, drying using air knives and oxidation processes. You will be familiar with these processes from industries such as water purification, cement production, thermal power stations, blast furnaces, pharmacy, food products and much more. With Dutair turbo blowers, you can benefit from the highest possible output in the industry right away in both existing and new systems. 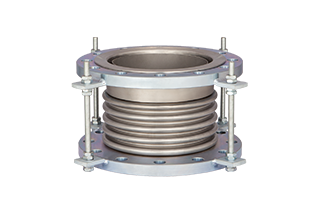 In order to optimise the use of the turbo blowers, a variety of ducting elements are available for easy installation. 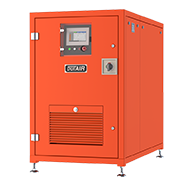 Dutair is a registered brand of the company Sjerp & Jongeneel B.V.
You can also telephone us for support on working days, from Monday to Friday from 8:00 to 16:30(GMT+1) on +31 (0)79 - 3611 466. The fields marked with * are mandatory. How can we help you? Thank you for your interest in our products. Please complete the data below and one of our specialists will assist you as soon as possible. Your request has been sent to Dutair. We work towards answering your request within one working day. We are looking forward to our telephone conversation. We will send the requested brochures as soon as possible. However time of receipt is strongly dependant on postal services worldwide. We work towards answering your quotation request within one working day.